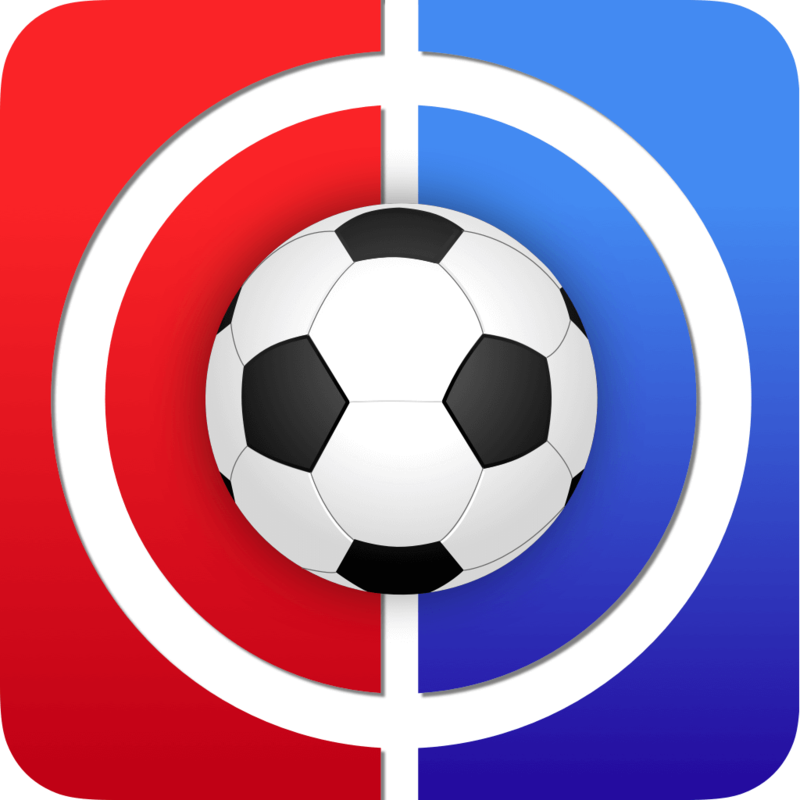 Welcome to FF247 Fantasy Football Site Team GW34. We shall expand on the title of the article later but for the purposes of this week he certainly wasn’t. In fact he was our lowest scorer with just the 1 solitary point. And to think that we made him our Vice Captain, the margins between success and failure can be that thin. Fabianski did little better with 2, although that was to be expected. Wilson matched him and Barnes fared little better with 3. Alexander-Arnold managed an assist for us but still only brought home a 4. Fortunately the rest weighed in rather more heavily. If Wan-B’s 7 was unexpectedly welcome then Digne’s 8 was a bolt from the blue. Our transfer in last week was Maddison and he ‘did the biz’ with a goal, although disappointingly didn’t earn any bonuses for doing so. Salah did likewise. The star turns were Hazard and Vardy with 16 and 32 respectively, the latter being doubled as our captain. 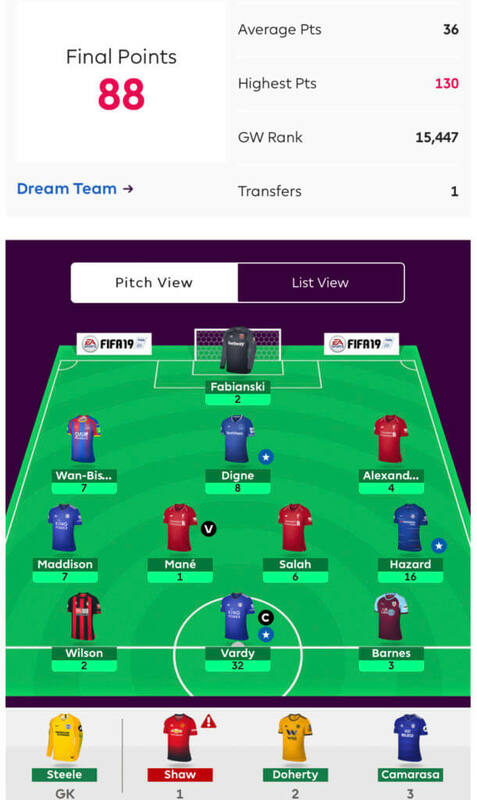 All in all then it was a satisfying week as we returned 88 points, 52pts above the average and another green arrow which sees us sitting pretty in 6,813th place overall. Much of our squad picked itself and in all honesty it was again a fairly brief committee meeting. That’s not to say we agreed wholeheartedly on everything – let us take you through the squad. We’ll start at the back and our keeper duo of Lloris & Foster. Spurs have great (and mostly home) fixtures for the rest of the campaign and some defensive coverage was preferred. With Poch having plenty of defenders to juggle we feel Lloris is the most nailed. With Lloris set to face Huddersfield in GW34, Brighton’s Ryan was no longer needed so we plumped for Foster who has a seemingly easier DGW35 on paper which should be beneficial for our Bench Boost. We’ll now skip to the forwards as once Kane was ruled out, our trio of Kun, Jimenez & Deeney was the obvious line up as is further evidenced by many of your RMT’s. We did flirt with the idea of having Vardy for this week and switching to Troy next week but having witnessed Arsenal away from home last week we are comfortable with the idea of Deeney inspecting their cojones once more. Our midfield and defenders very much go hand in hand as the final nitty gritty selections were a pair off between Doherty and a 4.2mln mid and Bennett and JWP. The latter won the vote but could easily have gone either way. Our biggest dilemma was our Liverpool contingent of TAA, Mané & Salah. Should we pack our squad full of DGW’ers or keep faith that the trio should be retained with fixtures vs Cardiff & Huddersfield coming up after this week’s visit of Chelsea? Like any good high level negotiations we reached a happy compromise. We have kept two (Salah & TAA) and dumped Mané in order to double up on Spurs’ match vs Huddersfield and then subsequent DGW35. However, we have left cash in the coffers to afford to buy Mané back for GW36 (vs Huddersfield) at the expense of Eriksen. It was a toss up between which of Salah or Mane to approach Cardiff with / without, which brings us back to our title; once upon a time, just before Salah scored 4 and got an assist vs Watford one of our committee infamously said we should go with Mane instead because ‘he is more explosive’. It reared it’s ugly yet funny head again this week. Suffice to say we begin with Salah. Son completes our Spurs trio – with Kane out we are hopeful that Son can continue his season long form. Jota is our final pick. With Wolves decent fixtures and just the league to concentrate on we are happy with the double up with Jimenez. Bennett & TAA are joined at the back by Laporte and our pair of Seagulls, Duffy & Dunk. All three were a relative no-brainer. 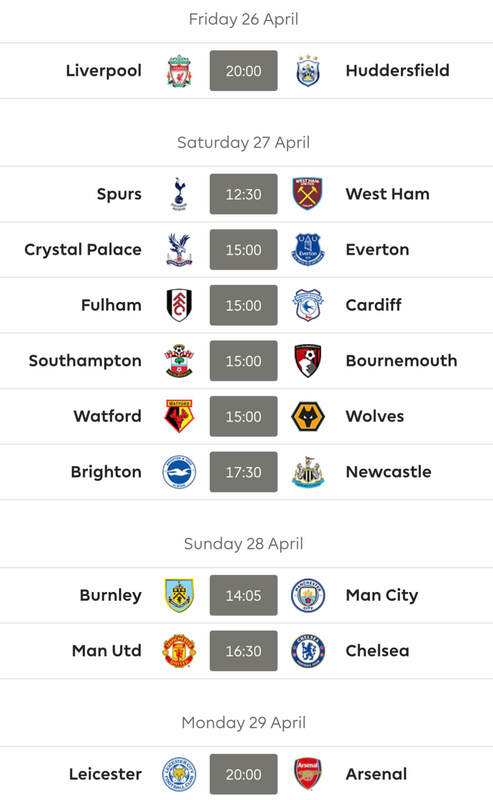 City have good fixtures and Laporte appears to be Pep’s favoured one while Duffy and Dunk will hopefully bring in a couple of clean sheets in their DGW34. We plan to sell Dunk for either Bednarek or Valery in front of DGW35 as we have no interest in doubling up on Brighton for those fixtures! And Mané is planned to come in for Eriksen ahead of GW36. They’re the plans anyway, whether they happen is a different matter. No Man United or Arsenal players were even mentioned in the meeting! Camarasa was briefly looked at as our cheap midfielder but it would have meant benching Jota in GW34 so we didn’t see the point as he’d be no good in our Bench Boost in DGW35. Raheem Sterling was for a long time in our thoughts instead of Salah before we decided to retain one of our Liverpool midfielders. So this is our lot. Much of it is ‘template’, some you may question but it is what it is and we hope it gives good balance throughout and serves us well not only for BB35 but also the rest of the season. One of our more daring / outlandish (delete as you feel appropriate) committee was outvoted as our more conservative / boring (delete as you feel appropriate) members rejected the claims of DGW’er Duffy. To appease then the Irishman is our vice in case Poch goes all rotation crazy vs Huddersfield and gives Son the weekend off. So this is what I have landed on. I’m not sure whether I should go for Doucoure over Jota. I’m also tempted to take a punt on Knockaert for GW34! Anyone have any thoughts?! Personally i would have Jota. Doucoure has notched a few times lately, but dont think thats the norm. Nice team Kop.Another Duffy captainer ! Interesting ! I’m not sure i can bring myself to captain a Brighton defender ! Oh and yeah Jota for me over Doucoure ! Salah & Pogba or Mane & Sterling? I’m stuck for ideas. Thinking Shaw to Dunk + ??? Why would you not do it this week and have BB next week with 30 players? My current set up. Waiting on Femenia news. Planning for BB next week. Thoughts? Not sure who I’d get in for Vardy next week. Has to be Jiminez ! Thats a really nice front 8 ! In fact its the same as mine except i have Jimi over Vardy ! Cant you just do Vardy to Jimi and triple up on Wolves ? I could but I fancy Vardy this week. Jimi is an obvious choice next week. All good and right players benched this week? 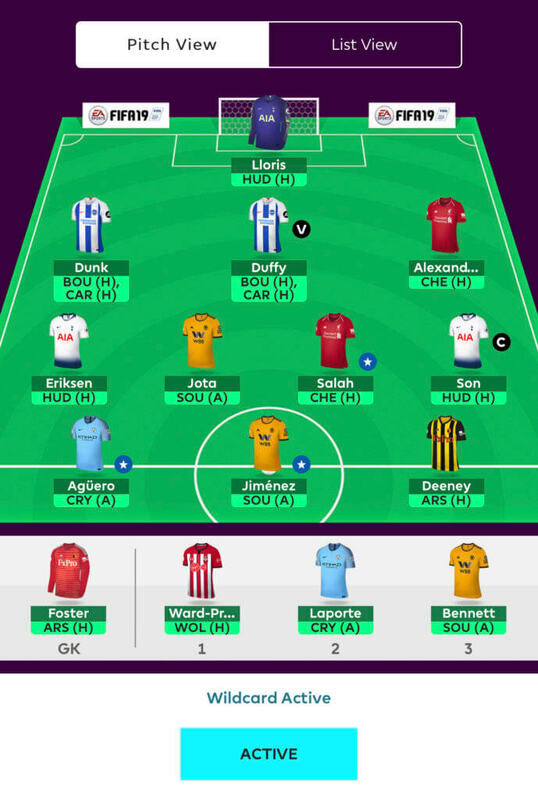 Team for GW34, good to go? I’ve got 1.7 ITB should I use it now? Predicted line ups has trippier rested. Should I play it safe and go with vert or Toby or just go with Laporte instead?